Your network is a continuously-evolving community of people, information, devices, and services that are interconnected to achieve optimal performance and synchronization. 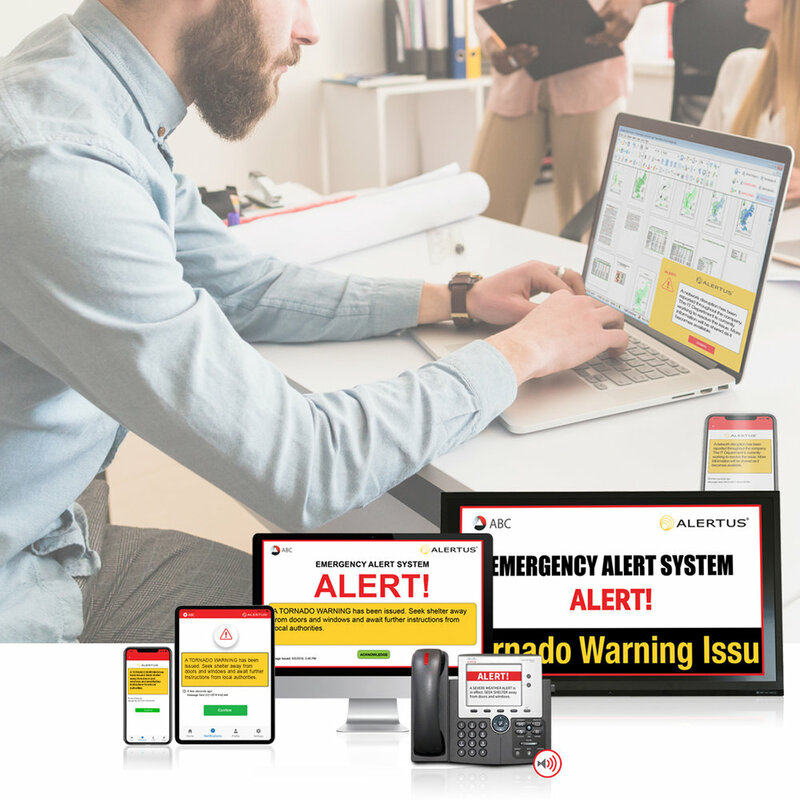 Alertus’ network-based alerting takes the power of your IP network and leverages it to facilitate comprehensive notification to your entire facility via network-connected devices. Transform VoIP phones, computers, digital signage, and other network-connected technology into intelligent devices for instant communication throughout your entire facility. Leverage your indoor, outdoor, and personal devices to create a layered notification approach to ensure you reach everyone, everywhere, every time. Using your IP network makes personal notification a breeze. With so much technology reliant on the internet and network connectivity, Alertus lets you use your network to deliver emergency communications to those connected devices. From desktop computers and laptops, to VoIP phones and tablets, whether at a desk or on-the-go, Alertus network-based alerting will make sure you reach everyone, every time. Immediate and intrusive notification ensures potentially live-saving information is delivered in a swift and effective manner. By using commonly found, in-building technology, you can ensure you reach your entire population with consistent alerts while also extending coverage to visitors, contractors, and other guests who may not be accounted for in staff directories. Alertus can also help you fill in immediate and intrusive notification gaps with our innovative alerting devices.